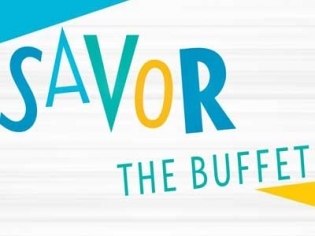 At Savor Brunch Buffet, the distinctive dining experience offered is far more than your normal buffet. Serving only brunch, these buffet can specialize in some unique dishes. Try some of the waffle creations ranging from Apple Pie to the Pick Me Up. There is a made-to-order pizza station. Brunch classics like eggs Benedict, smoke salmon, bagels and donuts are plentiful. Apple fritter bread pudding will keep you coming back! Check out the omelet station where you can order a custom omelet fit to your taste. Mimosas are only $1 and you can also get to-go orders. This brunch is a value priced $23.50 for adults and $11. 75 for children 4-10.